There are a lot of plants that do well in partially shady situations. But the list becomes smaller when the planting site is in full shade. 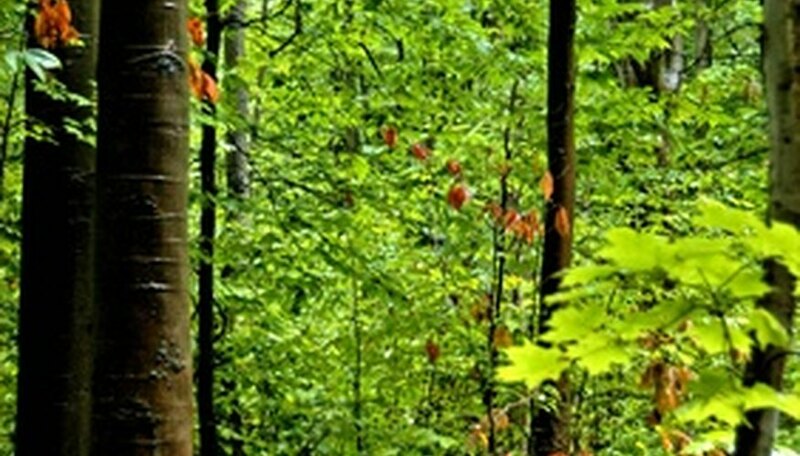 Many Pacific Northwest native plants grow in low-light forested areas. This makes them very adaptable to the shade garden. Begin the first layer with perennials, ferns and ground-covers. Then create a shrub and tree canopy to protect your shade plants from the sun. There are two Pacific Northwest conifers that will tolerate full shade. The Western hemlock (Tsuga heterophylla) is a delicate-looking conifer that loves to hide between slightly taller evergreens. Another is the Sitka spruce (Picea sitchensisi). Both offer year-round greenery and attractive cones. A deciduous tree for shade is the Cascara buckthorn (Rhamnus purshiana). It has oval-shaped toothed leaves and develops black berries. A smaller needle-like tree for shade is the Pacific yew (Taxus brevifolia). Blue elderberry (Sambucus cerulea) and Red elderberry (Sambucus racemosa) are surprisingly shade-tolerant small trees. They can be found under larger trees at the edge of the forest. The evergreen huckleberry (Vaccinium ovatum) has ornamental glossy foliage, urn-shaped white flowers and edible blue-black berries. The red huckleberry (Vaccinium parvifolium) develops bright red edible berries and colorful fall foliage. The bright pink flowers of salmon berry (Ribes spectabilis) give way to salmon-colored raspberry-like fruit. Thimble berry (Ribes parviflorus) produces soft red raspberry-like fruit. The Western mock orange (Philadelphus lewesii) has very fragrant white flowers and light green foliage. 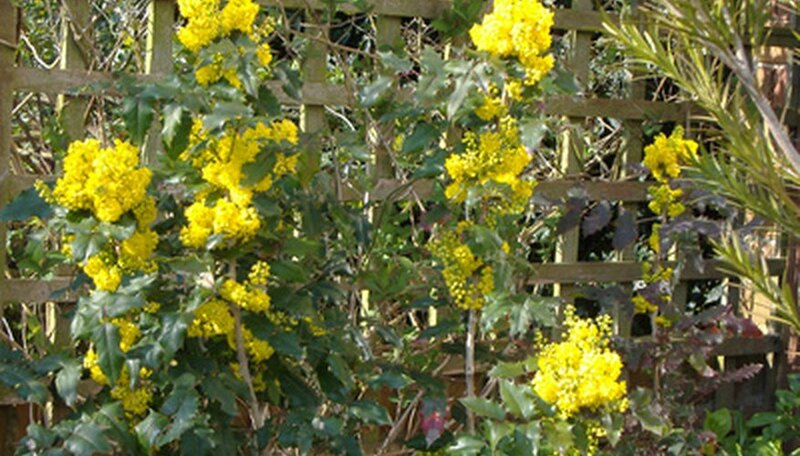 The tall Oregon grape (Mahonia aquifolium) is a good evergreen shade shrub. It produces fragrant yellow flowers and hard, blue, grape-like clusters of fruit. Salal (Gaultheria shallon) is a low-growing evergreen shrub, or tall ground-cover. It has glossy leaves, white flowers and black berries. Western bleeding heart (Dicentra formosa) is an ideal woodland garden plant. It has lacy leaves and pale to medium pink flowers in spring. Native bleeding heart grows by rhizomes and will form an airy ground-cover. All species of bleeding heart do well in Pacific Northwest shade gardens. Wake robin (Trillium ovatum) has white flowers that boast three large petals, or bracts. Native tiger lily (Lilium columbianum) forms spikes of speckled orange flowers in the spring. Western shooting star (Dodecatheon hendersonii) is a woodland bulb with backward-facing petals and deep pink blossoms. The white inside-out flower (Vancouveria hexandra) is aptly named due to its backward-looking flowers; as it spreads by rhizomes, it creates a delicate ground-cover. Wood violets do well in deep shade. The yellow stream violet (Viola glabella) and a native purple violet (Viola adunca) are common in the Pacific Northwest. Western sword fern (Polystichum munitum) is a large evergreen fern that can be found in most woodland areas. It does better in shady situations where its fronds will not burn. Attractive relatives such as the soft shield fern (Polystichum setiferum) and Korean rock fern (Polystichum tsus-simense) do equally well in the Pacific Northwest. The delicate native maidenhair fern (Adiantum pedatum) must have full shade and moist soil to thrive. The Himalayan maidenhair fern (Adiantum venustum) is also a good choice. Lady fern (Athyrium filix-femina) is a large, lacy shade fern with bright green foliage. The smaller evergreen deer fern (Blechnum spicant) will grow in shade beds, as well as cracks in moist rock walls.